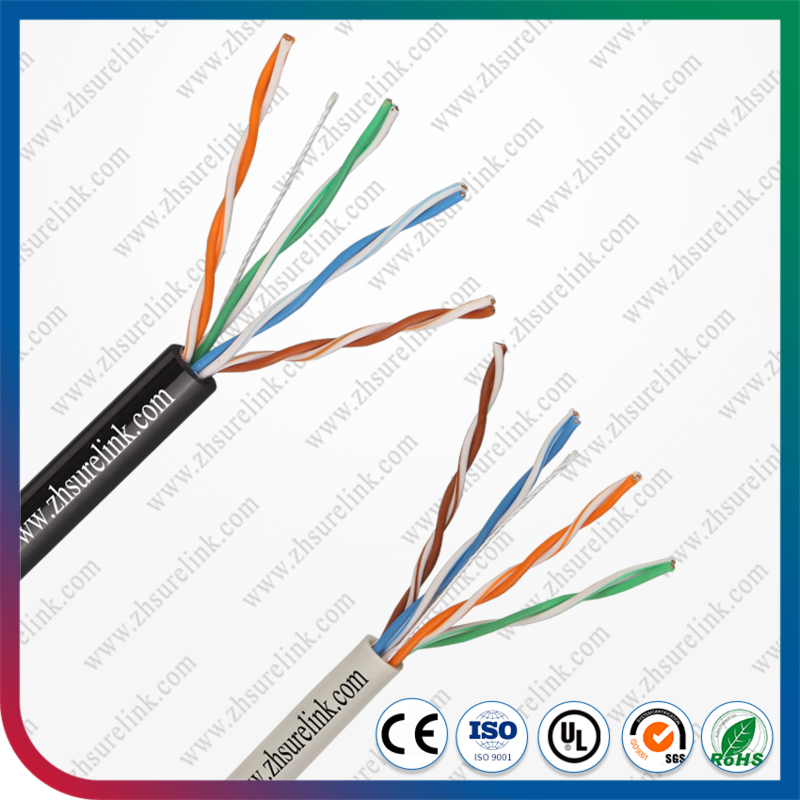 1.CCA or 24AWG Soft Plain Copper. 2.Eco-friendly,pollution-free and new materials selected.Promise new material only. 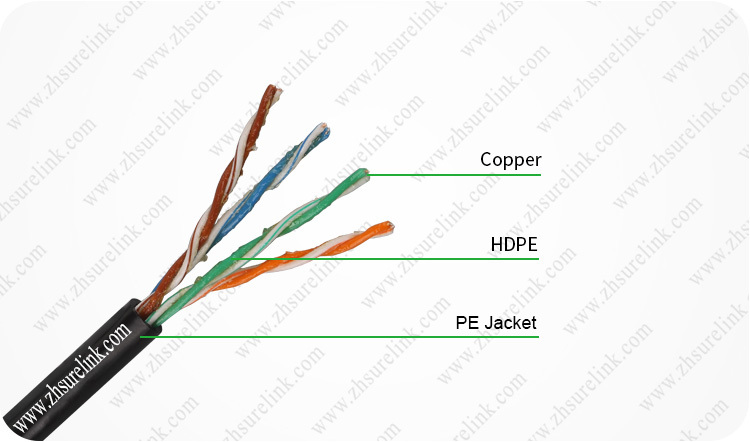 4.Eco-friendly PE Jacket , high-temperature resistance,long working life. 1. Exceeds ANSI/TIA-568B. 2 and ISO 11801 2nd Edition Class E Category 5e channel standards. 3. Meets requirements of IEEE 802.3af and IEEE 802.3at for PoE applications. 4. Foil shield reduces ingress of EMI interference to ensure cable performance at high frequency levels. 5. 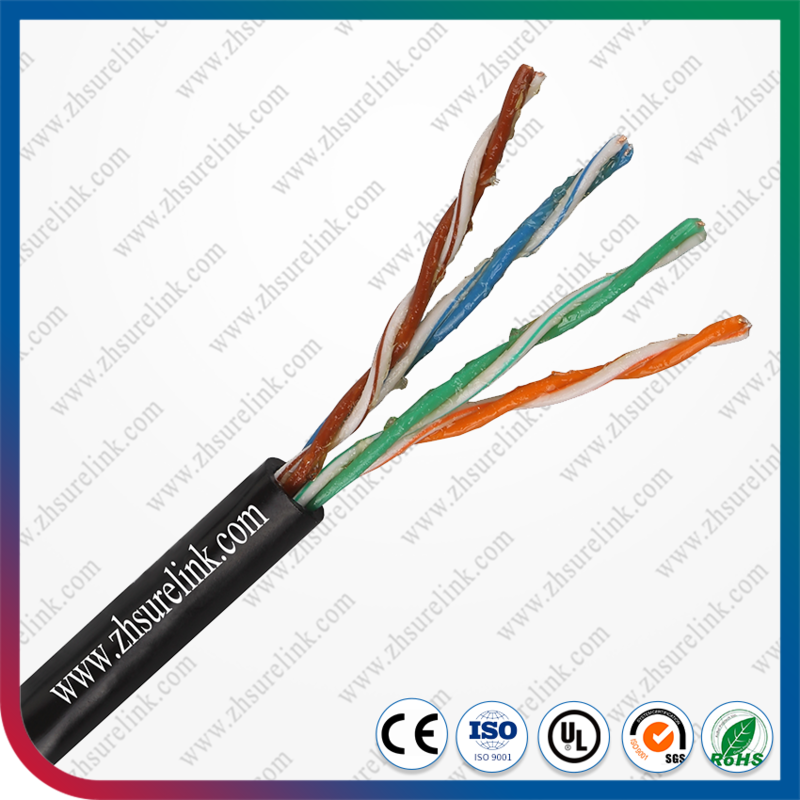 Length cable marking enable easy identification of remaining cable which reduces installation time and cable scrap. 6. Color Availability: Additional cable colors available. Transfer Impendance: Max 10 mohms/m@100MHz. OEM custom-made production according to different customer's request. Shape, PVC ,color, Conductor diameter, degree of tightness, logo design, Inner and Outer package design, all of below request are available. 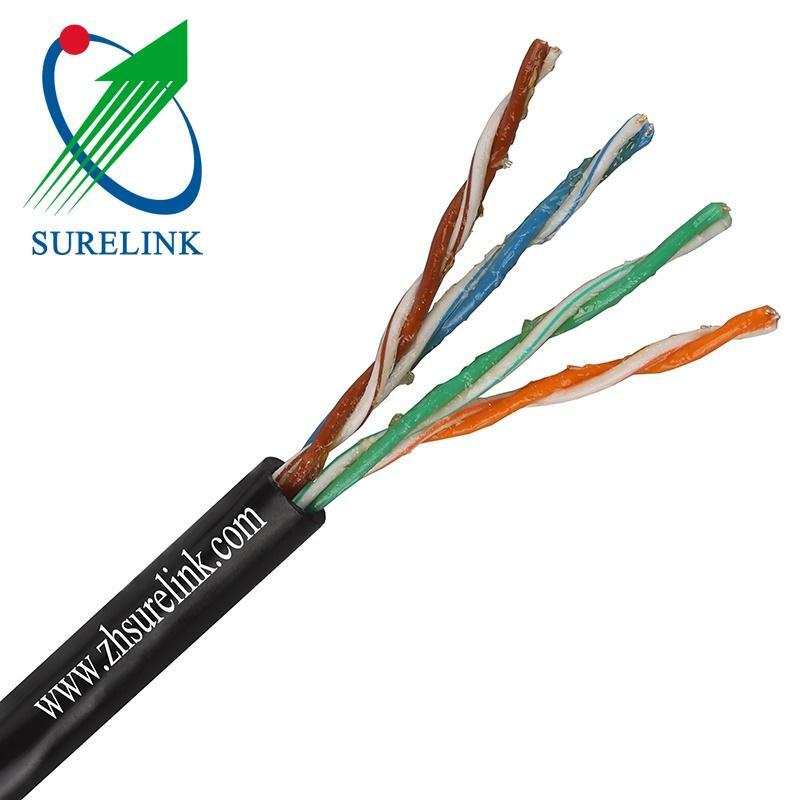 Zhuhai Surelink Communication Cable Co.,Ltd is one of the leading manufacturer in the cables and telecom accessories. We have more than 20 years experience in this line.Our factory has over twenty production lines and 300 employees. best service to our clients and the quality guarantee in every order. 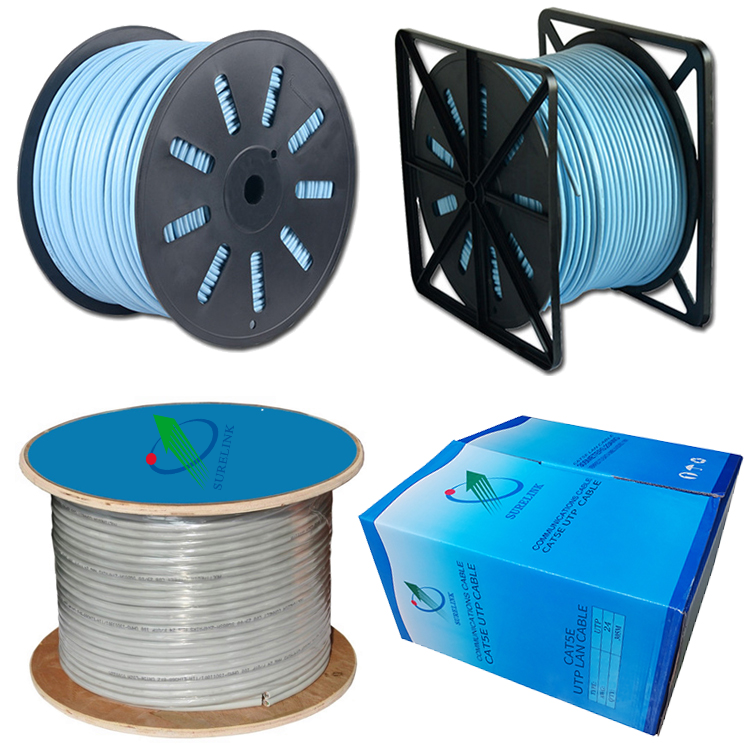 Our products have been widely installed in Telecom companies and many distributors around the world. We export to more than 70 countries and our annual revenue is more than hundreds of million USD. We have established a close relationship with many companies around the world and we sincerely look forward to woking with all clients from all over the world. If the quantity of the order is not very big, we usually send by express delivery,such as TNT,DHL,UPS,FEDEX or EMS. For big order,we will ship the goods by air or by sea.